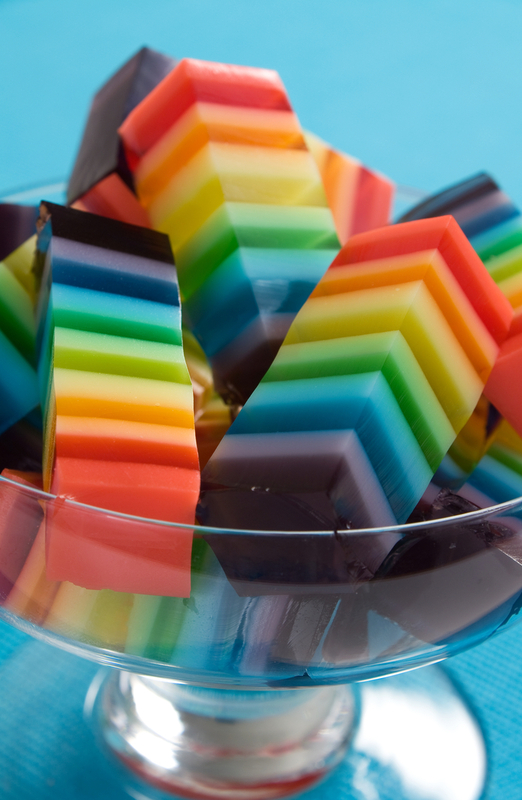 There is no better way to bring some joy to your Easter celebrations than to have some fabulous jello desserts on board! 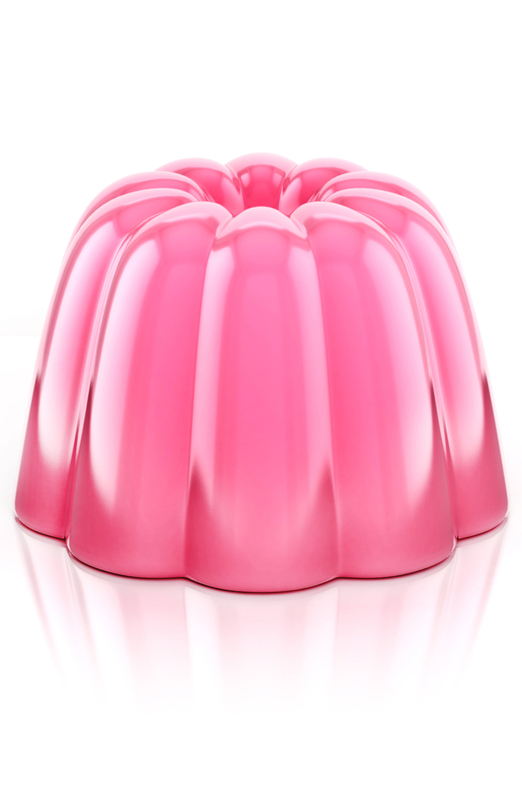 There is just something so happy about a jiggly jello on your dessert table. 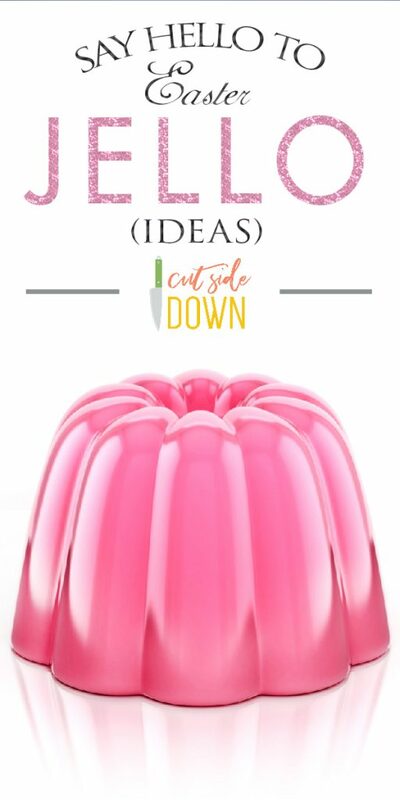 From my grandma’s green jello with crushed pineapple (it’s an acquired taste) to the new recipes going around Pinterest, I’ve got some delicious jello recipes that are perfect for Easter. It’s important to make sure you’ve got some good molds. This mold is a good basic one because it’s in a bundt cake shape. If you want something that is more kid-sized, then this mold set is perfect because it comes in small eggs and bunny shapes. The key to a good jello is giving it enough time to stabilize in the fridge so it can get nice and jiggly. It’s also a great idea to mix and match flavors. This recipe is time intensive, but completely worth the work! You can mix and match the flavors to meet your tastes-go classic, or go tropical. You can also do less layers, just make sure to adjust the white filling. First, start by setting out 6 bowls for each of your Jello mixtures. Bowls like this work great! Next, mix each box of jello with 1 c. boiling water and 1/2 c. cold water. You can mix all of the jello at the same so that it makes clean up easier. Second, heat your milk in a pan over low heat. You want to heat it until it’s just lukewarm-not boiling. While it’s warming up, mix the gelatin with 1 cup of boiling water in a large bowl. Next, whisk them together until the gelatin is thoroughly dissolved. It’s not going to smell pleasant, but it will taste delicious. Last, when the gelatin is dissolved add in warm milk, yogurt, sugar, and vanilla and whisk until smooth and creamy. Third, pour the first color (you can start with red or purple) into a 9×13 pan (like this one). Next, pop that baby into a fridge and allow to set. This can take 30-45 minutes. Once the jello mixture is set, softly pour 1 1/2 c. of the vanilla mixture on top and return the pan to the fridge. You’re going to repeat this process until the very last color is used. Lastly, put the entire container in the refrigerator for at least an hour, but preferably overnight. Next, cut and serve some beautiful desserts! Okay, I know the photo doesn’t have a peep on it-I forgot to take photo. So just imagine this cute little rubber ducky replaced with a darling yellow peep and you’ll have the gist of this darling Easter dessert. Start by emptying your jello into a mixing bowl. Next, heat two cups of water to boiling. After the water is boiling, pour it into the bowl with the jello and stir until the powder is dissolved. Second, add in the 2 c. of cold water and continue to stir for 1-2 minutes. Third, divide the jello among the cups you’re using. 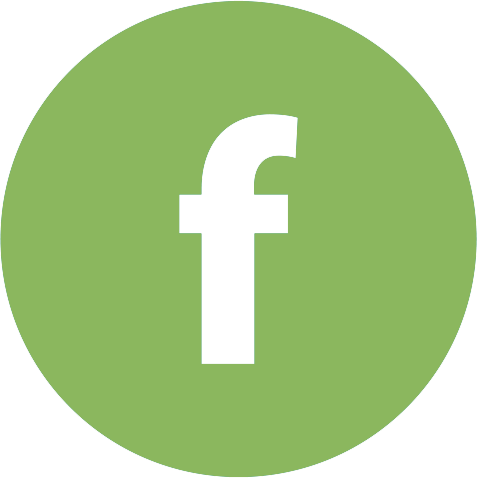 Once each cup is full, place them in the refrigerator for at least four hours, but preferably overnight. Fourth, mix some blue food coloring into your cool whip and stir until you have your desired color. Next, put a dollop of the cool whip on top of the cup. Last, place a peep on each mound of whipped cream. Ta da! You’re done! This is a recipe that throws it back to the 50’s. It’s delicious and simultaneously disgusting. Try it, I dare you to dislike it. First, start by draining the syrup from the pears into a sauce pan. Set the pears aside, you’ll use them in a minute. Next, bring the syrup to a boil before removing from heat and whisking in the jello powder. Keep mixing until the jello dissolves completely. Second, toss in the cream cheese and pears to the sauce pan. Then, using an immersion blender, blend the mixture until completely smooth. Third, make your whipped cream by beating the cream in a stand mixer or large bowl until stiff peaks form. Don’t let it turn into butter. Fourth, fold the cream into the jello mixture. Streaks are okay! Get it as even as you can. After mixing, pour it into your jello mold and cover. Refrigerate overnight. Lastly, to remove the jello from the mold, try dipping the mold into hot water for a few seconds to loosen the edges before turning over onto a plate. Serve and enjoy! And there you have it! 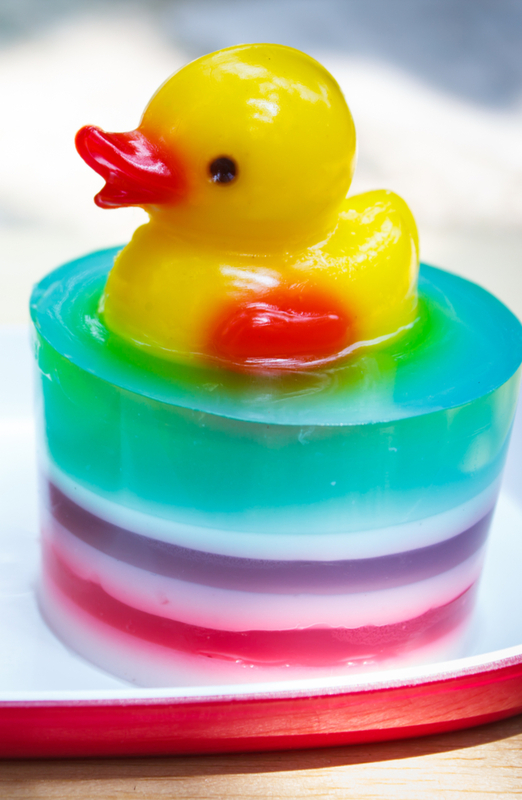 Three fabulous jello recipes to help you bring in a very hoppy-I mean HAPPY-Easter!